Pastor Terry King was called into the ministry at the age of ten, but like some of us he ran from the Lord's call until June of 1983. He then had a radical coming back to the Lord. The power of God made such a change in his life, that within weeks he was teaching some home cell groups where people were receiving from the power of God. He then began taking correspondence courses through Rhema Bible College. He has continued his education and now has his Doctoral Degree in Christian Theology. Pastor Terry was ordained into the ministry in 1988 by North Greenville Christian Fellowship where he and his wife served as Associate Pastors for many years. During that time, Pastor Terry and his wife Debbie were taking trips to the Dominican Republic to help with an orphanage and to preach the gospel to the poor, feed the hungry, clothe the naked and help establish churches. This is where they began to really see the miracles of God happening. Over the years, Pastor Terry has served in many different capacities in the church including Pastoral Care Pastor. In 1988, as Pastor Terry and Debbie sought the Lord for their mission in Christ, they were directed to Luke 4:18,19. Since that time, they have stayed true to that vision. Pastor Terry and Debbie's latest assignment from the Lord has been as Senior Pastors of the church where they were once Associate Pastors. God has given the church a new vision and a new name to go along with that vision. The new name is GOD'S WAY CHURCH and of course the vision stems from Luke 4:18,19. God is moving in the lives of people and with Pastor Terry leading God's Way Church under the inspiration of the Holy Spirit, we are seeing lives transformed into the image of our Lord Jesus. The next step will be a training center for Ministers and Lay Leaders, preparing them for the work of the ministry. The best is yet to come! Pastors Scott & Elizabeth married on April 16, 1988 now 30 years. They have 2 children Jeremiah and Natasha and a grandchild Nevaeh. Pastor Scott & Pastor Elizabeth has been in the ministry for 33 years now. Pastor Scott heard the call of God at age 8. But did not yield till age 22. God filled him with the Holy Spirit with the evidence of speaking in heavenly tongues. 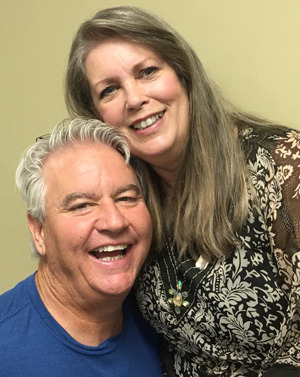 In 1985 Pastors Scott & Elizabeth began ministering as Prayer Pastor then Associate Pastor, Prophet of the House then Sr Pastor Of Living Praise Worship Center. Also, He received training under Bishop Miles of Evangel Fellowship International. Also started a new work Open Door Freedom Fellowship and for 11 years was Sr Pastor. 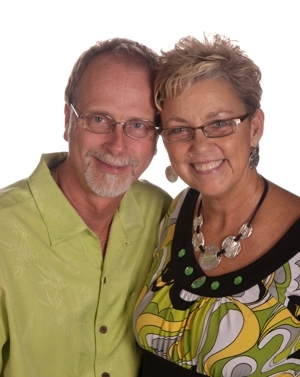 Pastors Scott and Elizabeth raised up prophetic ministry teams in house and in other countries. Pastor Scott heart is to bring an in-season word to people who need encouragement and to help them reach their God given call and potential. God has called them to Unite with Pastor Terry and Pastor Debbie at Gods Way Church as of August of 2018. To be a training center for maturing Disciples of Christ in an atmosphere where the presence of God is experienced, the power of God is manifested, and purpose of God is realized. To empower disciples to carry the Gospel to the city, state, nation, and around the world with the demonstration of God’s Holy power!